Born on 4 July 1952, Gertrude Fester fulfilled her mother’s dream for her to become an educated Black woman in South Africa. Her journey led her to become a founding member of multiple grassroots women’s organisations and a member of parliament from 1994 to 1999. Today, she lectures over women’s rights all over the world. Gertrude Fester was born on 4 July 1952, in the fourth year of South Africa’s apartheid state. By this time, policies, such as the Group Areas Act of 1950, the Population Registration Act, No. 30 of 1950, and the Abolition of Passes and the Consolidation of Documents Act of 1952, had begun to segregate Black, Indian, and Coloured South Africans. H. F. Verwoerd led the administration with a policy that was based upon separate development. He claimed that if the White minority and Black majority clashed, the White minority would destroy the Black majority. Therefore, the two races should be separated to ensure they can both live harmoniously and especially to protect the Blacks. Verwoerd also suggested that the Black, Indian, and Coloured South Africans would eventually threaten White jobs, living spaces, and lifestyles. Therefore, segregation would protect the Whites. His collaborator, D. F. Malan, suggested segregation would be the most efficient way to protect each race. The Afrikaner Nationalism of Malan’s National Party posited that each race has their own biological skills, deficiencies, and cultures. If each race is separated, all South African peoples can learn, live, and die, as they liked. From the beginning, however, the Black, Coloured, and Indian South Africans recognised that these seemingly helpful policies were actually tyrannical and demeaning towards them. The Group Areas Act created residential segregation through forced removals and relocations. The Population Registration Act, No. 30 classified every South African according to race, deepening racial segregation. The Abolition of Passes and the Consolidation of Documents Act required all Black, Coloured, and Indian South Africans to carry passes in urban areas, and allowed police to check their documents anywhere, at any time. Verwoerd and Malan tried to hide racism through segregation in their policies. Gertrude Fester was born into this oppressive state in Cape Town. After growing up in oppressive, patriarchal, apartheid South Africa, Fester became a part of a growing women’s rights activism. Just as her mother fought for her education in a society that looked down upon women’s educational rights, Fester fought for other women’s education all over the world. By teaching in South African schools, creating and endorsing grassroots women’s rights organisations, and guest lecturing in universities, Gertrude Fester sought to change the common degradation of the oppressed, especially women, first in South Africa, and then all around the world, through education. Fester’s parents could trace their ancestry back to an indigenous Khoi San and an enslaved Asian, so they were among those who were degraded by apartheid oppression. Even as a young adult, Fester was an anti-apartheid activist, ‘focusing on the articulation of women’s liberation to national liberation’ (Gertrude 2013). She lived her entire childhood in Cape Town, going to Harold Cressy High School and then the University of Cape Town. Throughout her life, Fester continued to educate herself, finally getting her PhD at the London School of Economics in 2007. 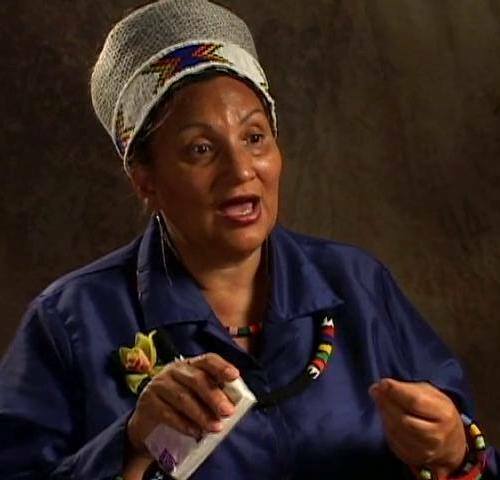 As an activist, Fester was a founding member of many women’s organisations, including the Gender Advocacy Programme and Women's Education & Artistic Voice Expression (WEAVE). She served on the board of eight non-governmental organisations, all of which promoted education and women’s rights. She has held some positions in over thirty organisations altogether. Although she was a key member of the anti-apartheid movement, serving in many different roles in many different organisations, Fester’s major role as an activist has focused on education. She has been teaching and lecturing for almost forty years, starting in a high school in 1975. She taught English and Afrikaans at De Kuli Premer, and later lectured at Hewat College of Education, teaching teacher trainees English and Drama. Today, she continues to give guest lectures in universities all over the world, including the University of Cape Town, the University of Washington at Saint Louis, USA, Rutgers University in New Jersey, USA, and Utrecht University in the Netherlands. Fester spent her entire life, much of it under the stresses of apartheid, educating women and children and young adults who were being persecuted by their government. Her many publications focus on gender equality and the promotion of lesbian, gay, bisexual, and transsexual rights – the common theme being human rights. She has always taught and lectured in order to help the younger generations fight for their basic human rights. Her continuous resistance to patriarchy has become a well-known voice all over the world. Fester was, and still is, a teacher, but more importantly, a leader and inspirer to those who seek to change their lives for the better and seek to break out of the oppression of a patriarchal state and culture. During Fester’s life, degradation of the oppressed was in full force in South Africa. Apartheid oppression started before birth and ended after death for many. The parents of any Black, Coloured, or Indian South African child struggled before he or she was born. They had to work long hours and were paid very little, as they were used for non-skilled labour. They had to travel long distances, under extreme stress, to get to work. The oppressed child, born into apartheid, was born into a depressed area of South Africa””usually a township or reserve””because Black, Coloured, and Indian South Africans were not allowed to live in the cities. These townships and reserves, built on dirt roads, lacked basic facilities, such as running water, electricity, and toilets. The child went to school in an overcrowded, small classroom, where all subjects were taught in Afrikaans – the language of the Afrikaner people – and the standard of education was deliberately kept low so that the child would not be able to get a job as a skilled labourer. If the child became politically involved, he or she would be incarcerated or killed by the heavily policed state, where all political activity was banned. Life under apartheid was harsh and unjustified. Even so, the apartheid government attempted to teach schoolchildren to accept the oppressive (for White schoolchildren) or oppressed (for Black, Coloured, and Indian schoolchildren) life as valid. Under apartheid, ‘educational and cultural systems were set up specifically to brainwash Black South Africans into accepting unequal status’ (Sithole 1994). The Bantu Education Act of 1953 allowed for this brainwashing system of education. Schooling facilities were segregated and controlled by the state. Finances for missionary schools were limited, and many of these schools were forced to close down. Later, the same type of racially segregated education was extended to universities and colleges under the 1959 Extension of University Education Act. The apartheid education system was also incredibly biased as ‘the school syllabuses taught a distorted version of history, emphasising the defeat in war of Africans and stripping them of dignity’. (Sithole 1994) The history that was taught under apartheid focused on the Europeans and started when the Europeans arrived, not with the indigenous peoples, suggesting that the Europeans were the first people in southern Africa. Black history was ignored, and even discouraged, at the schools. The pictures painted by apartheid historians suggested a courteous people from Europe meeting groups of barbaric Africans, and civilising the area. The school children were fed lies and propaganda in order to encourage acceptance of apartheid. Fester was taught in this environment. However, she was able to go through higher education, something that few Black students were able to accomplish, because of her mother’s strength and insistence. Fester discusses the importance of higher education in a guest lecture she gave in Rwanda for the CoMiDe project - a migration and development initiative that ‘aims to initiate cooperation between development non-governmental organisations, migrations organisations and communities’ (Project 2014). Fester addresses education as an important tool in the women’s rights movement. She says that women were not educated before; therefore they could not understand what they believed (Fester 2014). However, Fester’s high levels of education allow her to objectively understand the world in which she lives; this allows her to understand what she believes and why, enabling her to teach and lecture what she believes. Later in the lecture, she describes the South African education system as unwelcoming. The schools were segregated and only allowed entrance to students who fit their specific profile. She mentions how the White academics disregarded many incredible minds, based on their race (Fester 2014). Fester was able to attain the education that was received by few, which encouraged her to fight for the education that could have been for the masses. Fester was able to attain an education such as this because of her courageous mother. As Fester’s greatest role model, her mother defied the traditions and customs of her day when Fester’s father passed away. Tradition dictates that when the breadwinning father passes on, the children ‘all leave school to engage in wage labour’ (Fester 2014). However, Fester’s mother ‘refused and insisted, “All her daughters will have professions and study”’ (Fester 2014). Her mother was a strong woman who encouraged education above all, so naturally, Fester followed suit. Her mother was so insistent on her girls getting an education that ‘when the lawyer told her to sell [their] house as she could not afford, she again refused, asking, “Where will my daughters live? I will work my fingers to the bone to ensure that my children will always have a home to live in”’ (Fester 2014). The desire for education was so strong in Fester’s mother that she was willing to give her life’s work for it. Fester’s mother fought for education, allowing Gertrude to develop a voice so that she could successfully encourage others to fight for their education. Fester encouraged women especially because they had even less of a voice, through political organisations designed to help women speak up. In a patriarchal society, a woman’s lack of education forced her into accepting her traditional role as a woman. A patriarchal society refers to the concept of women being oppressed not only by the apartheid government, but also by the men of the society. Within the resistance movement itself, political organisations seemed to ignore women’s rights to an extent. The emancipation of ‘women did not appear on the agenda of political organisations and trade unions automatically. Women in these organisations had to struggle to put it onto the agenda’ (Patel 1988). Even men in the political organisations, in the resistance organisations, did not respect the women’s rights movement. Therefore, women needed to fight for themselves. In the 1980s, women’s rights organisations sprouted with the surge of other political organisations following the strike at Soweto in 1976. These women’s rights organisations were created as a response to the ‘economic, political and ideological conditions’ of the time (Patel 1988). These conditions were formed through culture and religion. In the same CoMiDe lecture in Rwanda, Fester explains that culture and religion were the two big stumbling blocks for South African women. The aspects of the culture and religion that disparaged women were surviving, while those aspects that gave men less power were essentiallyignored. Fester suggests that these two important aspects of South African society hindered the women’s rights movement because women and men alike accepted these demeaning aspects of culture and religion ignorantly. They did not have the education that would allow them to think for themselves (Fester 2014). Fester’s skills as a thinker and a writer, acquired through her education, allow her to excel in difficult situations. The liberation effort was taking a toll on her mental health and making her very emotional. As a member of the African National Congress (ANC), Fester was charged for treason in 1988 and went to prison for two years. In prison, Fester was thrown into solitary confinement for five straight months, which would take a psychological toll on even the strongest of minds. In solitary confinement, Fester wrote a one-woman play, Apartheid’s Closet: The Spirit cannot be Caged as a defense mechanism. This play was composed and recorded inside Fester’s head because under solitary confinement, she was not allowed to have writing materials. The play was later performed in countries around the world, including Cuba, Nicaragua, and China. When she was not in solitary confinement, Fester was allowed to write. She wrote a group of diary entries between May 1987 and September 1987 while she was in prison. These entries vividly described her emotional state throughout her time spent in prison. On the first day, she had ‘a bizarre sense of relief’ because she was no longer on the run from the police (Fester 1987). She could rest, albeit, in prison. By the tenth day, Fester was crying because she could not work from prison. She was restless, and the newfound empty hours of nothingness were discouraging. However, she noted that she cannot ‘let the enemy see that they’re getting the better of [her]’ and she wiped her tears away, staying strong and resilient (Fester 1987). On 1 August, Fester wrote about a church service held for the family of a detainee who was no more. Fester was close to this detainee, calling herself a ‘passive wife’ and noting how she was ‘too depressed to write’ while she was ‘getting hooked on these sleeping pills’ (Fester 1987). Fester was clearly becoming psychologically challenged by prison. Outside prison walls, she was a strong, independent woman. Inside the walls, she was becoming emotionally attached to her inmates, which is not necessarily a bad thing; however, when they are lost or dying, she becomes emotional, which only reaffirms this patriarchal society that she has spent her entire life fighting. The thought of it getting under her skin made her even more emotional, creating a vicious cycle that would break any human down. Nevertheless, she continued to write. She knew that this was her only release from the harsh reality she lived in. Most African women in South Africa at the time were not lucky enough to receive such an education that would allow them to write, partly due to the patriarchal society. Thus, Fester created the Gender Advocacy Programme, and later, the WEAVE project. In 1992, Fester founded the Gender Advocacy Programme to combat the patriarchal society. This non-governmental organisation’s goal is to ‘strive towards a society in which South Africa’s particularly those that are marginalised can participate in policies and decision making at all levels of South African life for the achievement of gender equality’ (Nonprofit 2009). Fester created a programme that could speak for those who could not speak for themselves – namely women. In conjunction with the Women and Governance Programme, the Gender Advocacy Programme lobbied for more women’s representation in order to successfully raise women’s rights issues within the government and more government support for disadvantaged women. The programme also challenged the cultural stereotype that women could not successfully work as leaders. Later, Fester herself became a successful product of this programme, as she became a ‘member of the National Parliament [from 1994] until 1999 for the African National Congress...and served on the Finance and Improvement of Quality of Life and Status of Women Portfolio Committees’ (Gertrude 2013). She became the representative of women in parliament, and even within parliament, she became a part the women’s rights movement by serving in committees dedicated to improving the quality of life and status of women. After starting the Gender Advocacy Programme, Fester started the WEAVE (Women's Education & Artistic Voice Expression) project in 1997, although she and her fellow founding members were writing for years before that. That same year, she received the Hammet-Hellman Human Rights Prize for Writers for her superior writing skills and dedication to the promotion of writing for human rights. Fester initiated the WEAVE project ‘to promote the writing of Black women through mutual exchange in terms of creativity, skills sharing and moral support’ (Women’s 2014).The project was a way for women to share their creativity through writing – something that had not been encouraged before in South Africa because it was not a part of the gender role. Writing is a way for women to share their thoughts and ideas to the world, which again, had not been encouraged in the patriarchal society. Fester taught English and Drama to training teachers at Hewat College of Education. Therefore, she was somewhat of an expert in language and creative expression and a perfect founding member of a project like WEAVE. The project allowed women to participate as ‘writers and performers in poetry readings and cultural festivals’ (Women’s 2014). It also had writing workshops for women, after which some writings were published. The WEAVE project is still very active among women who want to challenge the still relatively hostile, masculinist society in which they live. After 1994 and the end of apartheid, Fester’s approach changed little. She still encouraged writing, through WEAVE, and encouraged women in politics. Fester became a political icon. While serving in parliament for five years, Fester was ‘a member of the state-funded Cape Performance Arts Board of Directors’ (CAPAB) (Gertrude 2013). CAPAB was a South African theater organisation in Cape Town designed to encourage the study and performances of drama. After serving a term in parliament, Fester was appointed as a Commissioner on Gender Equality, where she was required to ‘promote democracy and gender equality and monitor and evaluate practices and policies of all South African institutions in order to promote equitable gender relations’ (Gertrude 2013). Within the government, she was promoting gender equality. Outside the government, she was still lecturing, traveling to other African countries, the United States, the United Kingdom, Canada and other countries around the globe. She is currently a professor and deputy director for the Centre for Gender, Culture and Development (CGCD) in Kigali Institute of Education in Rwanda, where she lives today. She is an international feminist consultant and speaker, an independent educator, a gender specialist and researcher, and an initiator and coordinator for the Feminist Forum. Gertrude Fester’s life has been a struggle. Even after apartheid, although she may be closer to her goals, she is still star reaching. She has reverted to global awareness for her struggle. Through dialogue, lecture, and writing, Fester has brought the women’s rights struggle to the eyes of many around the world. She is a role model for women’s rights activists. In an interview in Canada, Fester emphasises her commitment to individualism in women. She stresses that all women ‘can realize their full potential’ if they come together for substantive equality (Fester 2010). Fester has worked, and will continue to work for the survival of the individual woman. She survived through the harshest realities of apartheid and prison because of her education. Gertrude Fester now works to encourage women all over the world to take up the book and pen and educate themselves so that they can continue on the struggle. • Fester, G., (2014). personal email correspondence. 5 December. • Fester, G., (1987). ‘Two Sides of the Story’ from Women’s World. Available at wworld.org [accessed October 20, 2014]. • Patel, L., (1988). ‘South African Women’s Struggles in the 1980’s’ from Agenda: Empowering Women for Gender Equity, No. 2, pp 28-35. • Project Description CoMiDe. (2014). Project Description CoMiDe. Available at www.comide.net [Accessed 21 November 2014]. • Women's WORLD, (2014). Women's WORLD. Available at www.wworld.org [Accessed 21 November 2014]. • Feldstein, R., (2012). ‘”The World Was On Fire”: Black Women Entertainers and Transnational Activism in the 1950s’ from OAH Magazine of History, Vol. 26, No. 4, pp 25-29. • Nonprofit (Cape Town), (2009). Gender Advocacy Programme. Available at idealist.org. [Accessed 21 November 2014].